Valley Implement is a full service provider of Zimmatic Center Pivots and Valley Pivot parts in Idaho, Utah and Wyoming. We have one of the most comprehensive Lindsay Zimmatic irrigation and agriculture parts supplies in the intermountain west. We ship our gear boxes anywhere in the continental United States. Call for great pricing, shipped direct to your farm. Valley Implement and Irrigation can re-do sprinkler pivot packages for any brand anywhere. Contact our Logan store for details. This is just a small offering of our full line of Lindsay Zimmatic irrigation parts that we carry. 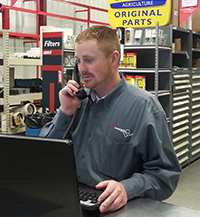 Phone our professional parts counter staff today at 208-852-0430 or 800-654-6862 to help us identifly the correct part for your machine. Designed for longer spans, larger wheels, and heavier towers. This gearbox is UMC's standard ultimate duty gearbox that is capable of handling nearly any field condition. Although it is overkill for conditions where a Moderate Duty or a 725 gearbox would suffice, many growers like the versatility of the 740 as it allows for operating in conditions where wheel ruts may exist, soil can be heavy and terrain is uneven. SPECIAL QUANTITY PRICING! CALL FOR DETAILS! The new Zimmatic Extreme Duty Gearbox is built with the future of center pivot irrigation in mind. 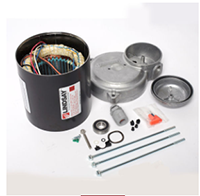 Features include: Cartridge input and output shaft seals that turn with the shaft provide extra protection from dirt and moisture. Two large input bearings increase load capacity by 55%. 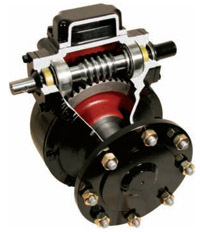 Operating life and increased torque consistency are achieved thanks to a super-strong, cast iron bull gear. Gear Box to fit Valley Pivots. Heavy duty Zimmatic gear boxes designed and configured to fit on your Valley Pivots. The right gear ratio, A great gear box at a super value. 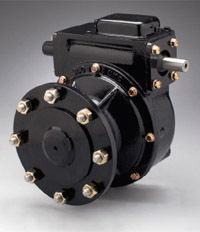 Valley Implement carries irrigation pivot gear boxes for all brands of pivots. Valley, Reinke, Zimmatic, and T&L pivots. Our sprinkler supply of parts is one of the best in the intermountain west. We ship to customers in Idaho, Utah, Wyoming and Nevada.